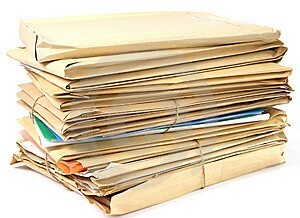 What Portions of a Lawyer’s File Must Be Surrendered to the Client? Your representation is over. Whether it ended through completion of the underlying matter or through your termination by the client, what portions of the file must you surrender to your client (or former client) upon request? In a recent formal opinion, the ABA Standing Committee on Lawyers’ Professional Responsibility clarified what files, papers, and property must be surrendered to the lawyer’s client. See ABA Formal Op. 471 at 3 (Jul. 1, 2015).2 Most jurisdictions, and the Restatement of Law (Third) Governing Lawyers, require a lawyer to surrender the “entire file” of the client—namely, all documents “possessed by the lawyer relating to the representation, unless substantial grounds exist to refuse.” See id. at 3; Restatement of the Law (Third) the Law Governing Laywers § 46 (2000). The entire-file approach “assumes that the client has an expansive general right to materials related to the representation and retains that right when the representation ends.” See ABA Formal Op. 471 at 3.
documents reflecting only internal firm communications and assignments. ethics consultations within the firm or with outside experts. Id. at 4-6. Such documents are not subject to surrender because they are “generated for internal use primarily for the lawyer’s own purpose in working on the [client’s] matters.” Id. Note, however, that surrendering these types of documents may be necessitated by compelling circumstances, such as to avoid causing harm to the client in on-going litigation. Id. at 6.